What country invented ‘golf?’ Many countries did. If there were sticks and objects that could be hurtled along, then there was ‘golf.’ No one knows for certain who started golf. But everybody knows who plays it now — everyone does. Nearly every area around the world has some claim to the origination of golf. Scotland, of course, has its claim. But so do China, Rome, England, France, Holland, Belgium, even Laos. Every country has a game consisting of sticks and balls, and every country is correct in its assumption that it invented the game. But there is no one country where ‘golf’ actually began. Still, Scotland is widely considered to be the birthplace of golf. And it began haphazardly, a way of hitting a pebble or other roundish object into a hole by means of a stick or club. Edinburgh, Scotland, claimed the first golfing society. 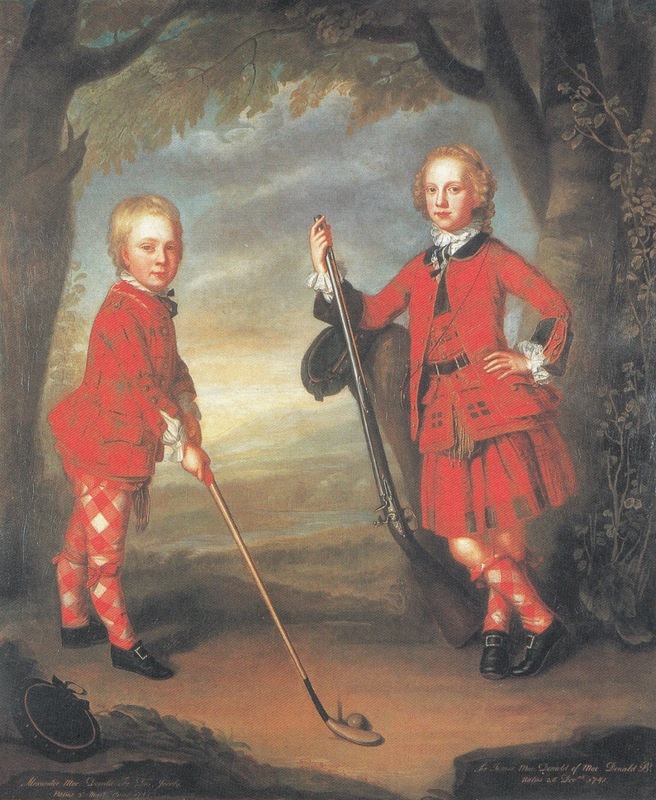 The Gentlemen Golfers – later known as the Honourable Company of Edinburgh Golfers and today in residence at Muirfield – claim their club was already underway in 1744. The first inter-Scotland club matches were played in 1857. The world would wait until 1860 for the first British Open to be played. The British Open was being played 35 years before the U.S. Open. It has been called “The World Open.” Players from around the globe participate, as they have for a century or more. The British Open is all-inclusive. The U.S. Open has been moving in that direction for the last decade. But the British Open has been accepting a cast from around the world since the turn of the century. It is not known for certain when golf came to America — only that when it got a toehold in the 20th century, America became the world leader in great players. By 1900, the explosion of the game in America was complete. The proof was that, at the turn of the century, there were more golf clubs in the United States than there were in Britain. Women have played a very large part in the history of golf, even before the last half of the 20th century when they finally achieved equality with men. Records of ladies playing golf exist all the way back to the time of Mary Queen of Scots. As athletes work to prepare for competitions and tournaments, it is very important that nutritional needs be met. This includes both in eating habits, what is consumed, and when it is eaten. The old saying that you should not eat before swimming is a very real concern for athletes regardless of which sport they are involved in. 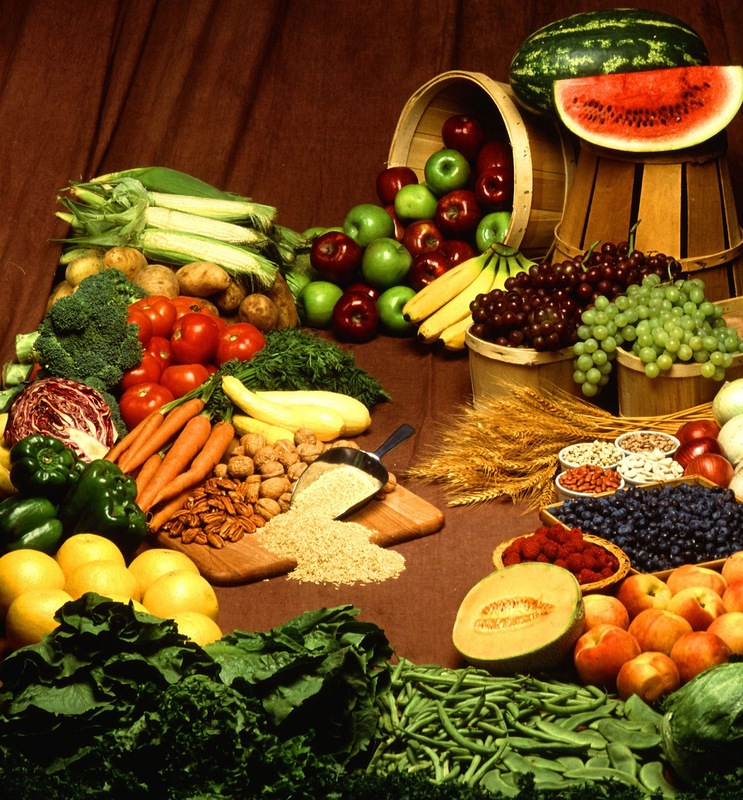 In order to allow the body to fully convert the good foods that you are eating into energy, it needs time. The amount of time it needs varies depending on the exact foods that you are eating but the process is certainly not instant. In order to achieve the best results, it is ideal if you break up your eating habits before competitions and try to limit the amount of food that you are eating right before engaging in sports. For example, if you are going to be running track at 10a.m. you should not eat anything after 9:30a.m. unless it is an emergency. This allows your stomach time to start converting the food you consumed into energy. While it is necessary to drink liquids during a work out it is also essential to know what foods are safe before a workout. In order to ensure that your athletic experience goes as smoothly as possible, you should always consult your sports medicine doctor for specifics based upon your body type, athletic activity and any other variables that are specific to you. In the meantime, there are some general guidelines that are acceptable to use and can assist in helping you ensure that you are ready to go. Before you exercise, you should look at eating about 4 hours before your exercise. This means a real meal with components from all of the food groups. This does not mean simply snacking on an energy bar or even an apple. Instead, it should be a complete meal, this may require you to adjust your workout schedule to better coordinate with your eating habits, or if your schedule handles it better adjust our eating habits around your workout schedule. Either way, it is important to eat a full meal 4 hours before your work out. Once you are finished eating it is a good idea to eat a snack or even an energy drink that is loaded with carbohydrates. This gives your body an extra burst. It is best to look into this high carbohydrate snack about 2 hours before your workout. Remember, worrying about the calories you are consuming is not as important as ensuring that you are giving your body the fuel that it needs to function. In addition, about one hour before your workout looking into a sports drink is a really good idea. Following this schedule should have your body well stocked with plenty of energy to handle the rigors of your workout. In the time immediately before a workout or even a competition of any type, it is best to stick to small foods that are healthy and offer high amounts of carbohydrates. Examples include fruits, fruit juice, vegetable juices, and even sports drinks are all healthy choices that keep your energy levels full. They are also light enough that they will not cause any problems with your stomach while you are engaged in your athletic activity. In addition to eating the healthy foods, sports medicine doctors also recommend consuming something sugary approximately 45 minutes before any highly strenuous activities. This includes candy bars, energy bars, and even some soft drinks. Keeping your energy levels up is not always a simple task but if you focus more on your energy levels and less on the calorie intake that you are consuming your body will appreciate it once you are moving and using the stores of energy. Remember, limiting the amount of sugar that you consume is best since it only gives you energy for the initial start to the activity. The carbohydrates that you consumed before will provide you with the long-term energy that you need to be successful. With some careful planning, it is possible to work with your sports medicine doctor and coach and decide exactly what your best eating routine is to keep you in top-notch shape. There are plenty of different sports to keep your attention if you are watching the Winter Olympics. They take place every four years at different locations found around the world. Some of the most exciting events of the entire Olympics take place during the winter games. The most popular winter sports events that get watched are the skiing competitions and the skating events. There are ten different events that take place for both men and women to compete in for the Alpine skiing competition. Cross-country skiing is offered as an individual and as a team event with competitions spanning over several different distances ranging from 15 km to 40 km. 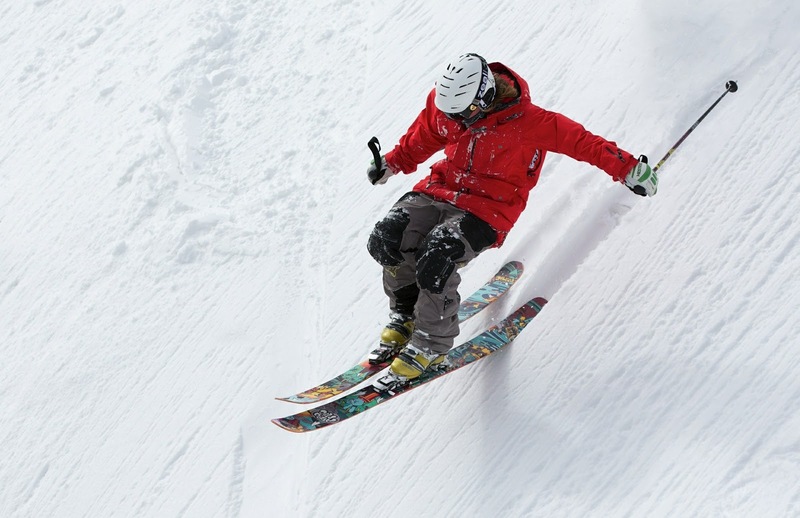 Freestyle skiing allows those in competition to be judged on their style, their stunts, and the level of difficulty that they are able to offer during their routine. Ski jumping allows contestants to race down hills and then see how far they can jump in the air across an area. The way in which the land is also judged. The Nordic combined is a skiing event that offers a combination of cross-country skiing combined with jumping. Snowboarding was added to the Winter Olympic Games in 1998 and continues to be one that many people love to watch. These events require the individual to use a board strapped to their feet without any poles as you would use in regular skiing. The individual controls the direction of the snowboard with their feet and body. In the skating categories of the Winter Olympics, figure skating is watched by millions of viewers. There are individual and team events which have both been plagued with controversy over the years. In 1992 Nancy Kerrigan was attacked and injured while practicing for the Olympics. It was later determined that a rival, Tonya Harding, had launched the plan with her boyfriend to get Kerrigan out of the way for the competition. In 2002 there was controversy surrounding the judges as the Canadian team had a flawless routine but the Russian team walked away with the gold. Rumors that some judges had been paid off quickly circulated and eventually the Canadian team was offered a gold medal. However, the accusations could not be substantiated enough to justify the removal of the gold medal from the Russian team. The event of speed skating in the winter Olympics is one that has gained the attention of the audience in recent years. This involves individuals and teams racing around the ice at neck-breaking speeds. There is plenty of action though to keep you on the edge of your seat as they skate around the track. Ice hockey is always a fun sport to watch, and there are events in the Winter Olympics for both men’s teams and women’s teams. Canada holds the record for the most gold medals in this event with 13. There is plenty of stiff competition in the ice hockey games though so make sure you tune in to cheer on your favorite teams. The fastest sport in the Winter Olympics is the Luge. This event involves one or two people on a small sled that quickly descends down the course. The riders control the speed and the movement of the sled with their bodies so they have to exhibit strength in their calves and their shoulders in order to be very fast. The bobsleigh events are very similar but there are events for a full five-person team as well as a two-person team. They sit upright for this particular event in the Winter Olympics while they lay down for the Luge events. The next Winter Olympic Games will be taking place in 2010 and will be hosted by Canada. You will be able to watch all your favorite sports as the teams from around the world compete to take home the gold medals in the various individual and team sports. Skiing is a sport wherein the skiers glide over snow with the help of skis made out of wood planks or fiberglass strapped to the feet. Over the period of years have been many alterations to the original sports like the cross-country variant and downhill variant. The alterations are Alpine Skiing, Telemark Skiing, and Nordic Skiing. Skiing is also used by the military as a means of transportation and training in ski warfare. Originally skiing was used as a means of transportation in an ice-packed area. Sondre Norheim, from Norway, was the father of modern skiing as he developed slalom form of skiing in the 19th century. His ideas were later worked on and Telemark Skiing was developed in the 1970s. Mathias Zdarsky from Austria invented the Alpine or downhill skiing. He developed the firmer bindings to help skiers to better anchor their feet. Sometime after that, Hannes Schneider of Austria invented the Arlberg technique, according to which the body is rotated to steer the skis. Not only there are different versions of skiing, but also there are many competitions, which are held every year for the fans of skiing. Skiing is a big part of the Winter Olympic games, too. The regions, which are ideal for skiing, are some parts of Scandinavia and Alaska. Many of the ski resorts have been constructed in these areas and some of them are specifically meant for Alpine Skiing. The visitors have to buy warm clothing, ski, ski poles, and ski boots. After getting all dressed up, the skiers can take the gondola lift or the chairlift to reach the summit. From there the skiers ski downwards along a marked path called piste or trail or slope. If the skier is interested in off-piste skiing, he can take the unmarked area and ski in between trees, which is also known as glade skiing. Skiing outside the boundaries of the resort is called out of bounds skiing and is not allowed in some resorts. This can be very dangerous as there can be a possibility of falling avalanches, which can be a threat to life. Its advisable to take avalanche training, carry necessary equipment and to hang out with experienced skiers. In case of emergency, insurance is a must otherwise the cost of search and the skier himself should bare rescue service. It is highly recommended that the skiers inform the ski patrol before going out to ski and check out for bad weather. It takes a long while to master the art of skiing and the help of ski schools can be taken to overcome this. Initially trained instructors ask the leaner to keep the skiing speed low. The terrains and steep slopes are better avoided. Advanced skiers are made to ski on steep terrains and the risks taken are much more dangerous than the beginners. Two basic types of downhill skiing are alpine skiing and telemark skiing. Telemark skiing involves flexible ski boots and the heels aren't locked to the skis. Alpine skiing involves harder ski boots. Even people with disabilities with the help of outriggers have practiced downhill skiing; sit skis, ski tip retention devices, ski guides, colored guide bibs and audible clues. The dangers that can be faced in these sports are avalanches, collisions, hypothermia, and other illnesses and sometimes even death. 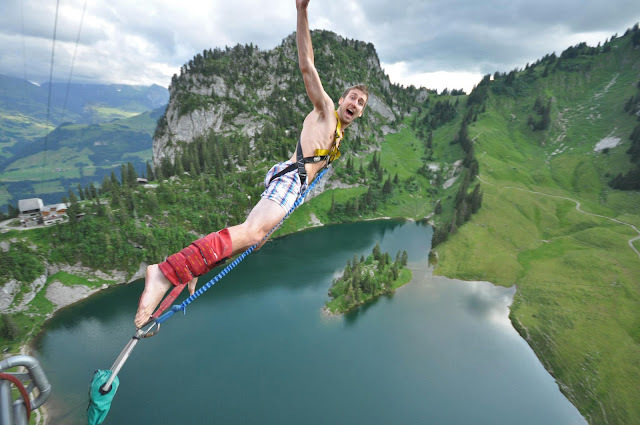 While modern bungee jumping has become known and practiced worldwide, what is less understood is the physics behind bungee jumping. Interestingly enough, the extreme sport originated from spiritual rituals of South Pacific natives, who had no idea of the science behind the sport. Modern bungee jumping enthusiasts find much comfort in the idea that someone has worked through the math required to perform a safe jump. So who developed the physics of bungee jumping and how sure are the modern practitioners of the sport that it is relatively safe? Let's start by taking a look at the origins of the science behind the sport. Years before the discovery of the land diving natives on Pentecost Island, a British mathematician named Robert Hooke was discovering the physics of bungee jumping. He began working as an assistant to the famous scientist Robert Boyle in 1653. However, it wasn't until 1660 that he formulated and wrote down Hooke's Law of Elasticity. In laymen's terms, Hooke's law basically tells us how much tension a spring can endure, and the maximum length it will reach. Hooke's law can be used on any material that is considered linear-elastic or stretching lengthwise. Oddly enough, rubber is usually considered non-linear, because variations of stress and temperature can have a significant impact on the elasticity of the rubber. Today, modern practitioners of the physics of bungee jumping don't have to be as well-versed as Hooke. Depending on the bungee cords used and their ratings, the science has been simplified quite a bit. The commercial proprietor who is offering 'bungee jumping' as an extreme sport still has to be on their toes. Cords that are manufactured to meet a well established United States military specification (mil-spec) are perhaps the best to use. This is simply because of the rigorous testing that must go into making sure they meet the mil-spec. Most of these cords have a specific weight limit and elongation potential. Using these numbers, along with the length of the jump and the weight of the jumper, the calculations can be made. The length of rope needed, how many strands are needed for the weight, and how much beyond the normal length of the cord the jumper can expect to go. The physics of bungee jumping has changed some with advances in the material used in bungee cords. Some cords are also 'pre-stretched' so there are less elasticity and bounce, and a more forceful shock and return from the bottom of the jump position. The problems with some jumpers using cords that were too long are the result of not understanding the physics of bungee jumping. Even though modern bungee cords are weight and elongation rated, some people still fail to take this into account when performing amateur jumps. This is why it is highly recommended that anyone who wants to learn bungee jumping should consult with a professional. This is not a sport that you can learn and practice at home. The physics of bungee jumping have been simplified by 20th-century manufacturing standards, resulting in a much safer sport for everyone participating. Hosting a youth soccer training session can be a lot of fun. 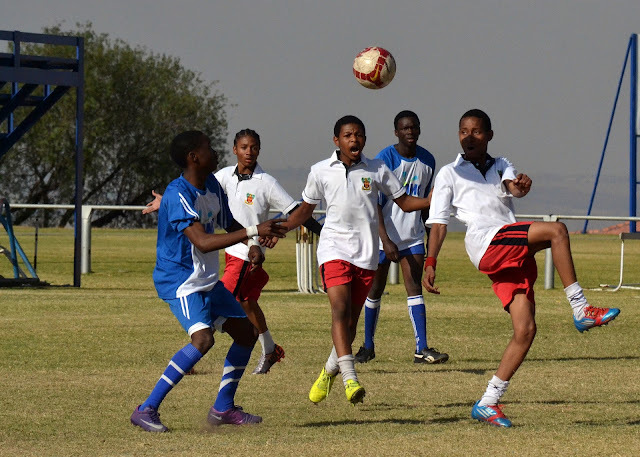 When hosting a soccer training session with children, you can expect to see them, their family members, and even a few of their friends come to watch the training. This makes for a very exciting time for everyone. Coaches get the opportunity to personally develop each player individually, while others watch in amazement at the pure skill and agility of the child that they are supporting. However, it is essential to bring along some basic equipment that is required for youth soccer training. The first thing that you should bring to your youth soccer training session is a soccer ball for each player. While you should allow it to be permissible for a child to bring their own soccer ball, it is important to understand that many children may not have their own soccer ball. There are many children who may simply forget their soccer ball. This is why it is essential to have a steady supply of balls available. Be sure to make a rule that if a child brings along their own soccer ball they should write their first and last name in permanent marker on it. This will ensure proper identification after the youth soccer training session is over. The next thing that you should be sure to bring to a youth soccer training session is a large container of prepared ice water or prepared ice Gatorade. You can purchase a cooler that has a spout to make it easy to get the fluid from the container. Be sure to purchase a large number of cups that the children can use. Normally, these cups will become misplaced and a child may use a new cup each time that they get something to drink. You may wish to explain to parents that a child should bring a bottle of ice water with them to soccer training. Be sure to stress the importance of placing their names on the bottles. Many children may even like to bring sports bottles. The third thing that you should bring to a youth soccer training session is enough shin guards for all of the players. It is important to have these items available to avoid the risk of injury to your players. Many children may forget their shin guards, or may not be able to purchase a pair for themselves. However, as a coach, it is essential that you take these things into consideration to ensure that all players are able to enjoy a safe practice session. When coaching a youth soccer training session, it is very important to be certain that you bring a whistle. In many cases, this will be the only method that you can use to gain the attention of the children. This is especially true if the training area is relatively large. You do not have to invest a lot of money into the whistle for it to be effective, but it is necessary that it has a high enough quality to be heard. You may choose to bring a few extra whistles to ensure that you have a backup in case the first one becomes lost or damaged in any way. The next item that you will need at a youth soccer training session is a way to separate the group into teams. This may be as simple as different colored vests, t-shirts of different colors, or even flagging devices. There are many drills and other activities that may require you to have at least two teams, so, having a method of identifying your teams are very important.